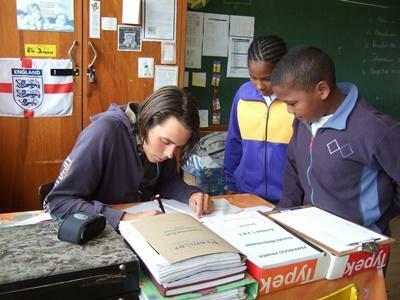 You can volunteer on a Teaching project in South Africa during your gap year, career break or during an extended holiday. We don’t require you to have a TEFL qualification, but lots of enthusiasm and ideas will be appreciated. South Africa is a country of dramatic change and optimism, which is reflected in the schools in which we work. Located in the Cape Flats area of Cape Town, many of the schools are overcrowded, understaffed and under-funded, however, a real enthusiasm and hope for the future is evident. South Africa has a highly varied population; 41% of Cape Town residents speak Afrikaans at home, 29% speak Xhosa, 28% speak English, with smaller percentages speaking any one of the eight other national tribal languages. Due to this cultural diversity, English is used as the main language of teaching in schools in Cape Town, although English will not be the first language of all of the children. Having a native English speaker is particularly helpful. Most volunteers get involved in at least two of the three main teaching areas, however, please let us know about your interests and any teaching experience when you apply. 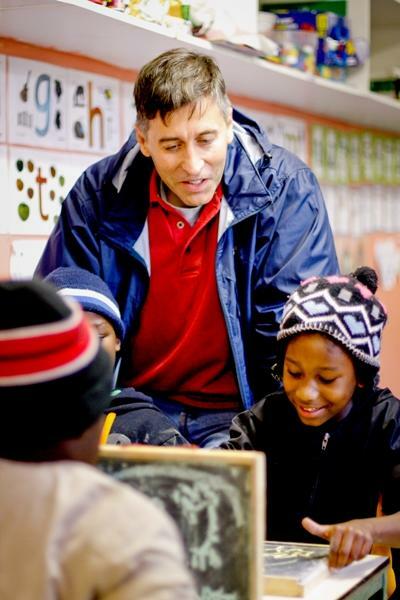 As a teaching assistant, you will be based in the classroom. You will work alongside a local teacher helping with all the subjects they cover with the children. You may be expected to take some lessons yourself after a few days. While you'll have the basics of a blackboard and chalk, classrooms often lack other resources. Try to draw on your experiences and interests to really bring the lessons alive. Bringing items from home such as photos, stickers and magazines can be great for building lessons around, and our teaching booklet will also give you plenty of ideas. The reality of South Africa’s education system is that some of our partner schools only have a 47% literacy rate. Volunteers will therefore be part of a vital literacy programme that has volunteers working with small groups of children. With over 40 children per class, it is easy for learners with difficulty reading to not receive proper attention. Volunteers are able to give children struggling to learn to read the extra attention they need to improve their skills. Although public schools in South Africa are often lacking in resources, in many schools there are passionate teachers who focus on music as a form of positive enrichment. The aim of the schools is to have a full marching band. As a volunteer you will assist in the music department, using any music skills you may have to improve the quality of music produced by the school. The schools in South Africa have their main holidays from about mid-December to mid-January, with shorter holidays over Easter, at the end of June/start of July and one week in October. Alternative Care projects involving informal teaching are available during these times and our local staff will advise you of exact dates when you apply. If you have any knowledge of IT then you could teach some basic computer skills on our IT Project in South Africa. It is possible to combine IT teaching with the other teaching options mentioned above too. Please let us know when you apply if this appeals to you. The School Sports project in South Africa cannot be combined with the Teaching programme because both of these projects require a full time commitment. If you have qualifications or experience in this field then we can make use of your skills. Read more about the opportunities for skilled volunteers in South Africa. You can read more detailed information about the aims of the project in our South Africa Teaching Management Plan.